Resource center A Look at Drug Abuse. Common Signs and Symptoms How Are Drugs Classified in America? Drugs are classified according to a number of different criteria, depending on the group doing the classifying and the reason for classification. For instance, from a therapeutic standpoint, a drug might be classified by the way it is used to treat illness. Other classification systems might classify drugs by active ingredients or chemical composition. Early on, the government developed a very basic classification system for medicines and offered a general classification system for drugs sold commercially for medicinal purposes. The Federal Food, Drug, and Cosmetic Act (FFDCA) was passed in 1938 to assist in deciding what drugs would be approved for specific uses. The FFDCA gave the Food and Drug Administration (FDA) the power to determine the safety of various food products, medicinal drugs, and cosmetics in the United States. The Act has been amended several times to allow for considerations that are used to investigate the efficacy of drugs or to incorporate new types of issues or information, such as preparations for bioterrorism and for other regulations regarding new developments in the manufacturing of drugs. The FFDCA is concerned with medicinal drugs or drugs that are designed to treat, prevent, and cure, or that are used in the diagnoses of illnesses or diseases in people or animals. The FFCDA makes an additional designation between chemical compound drugs and biologic drugs. Brand-name drugs are patented and can only be manufactured and distributed by the company that holds the patent, such as Tylenol. Generic drugs are basically the same composition but manufactured by different companies under different names; often generic drugs are less expensive than the brand-name versions, such as acetaminophen, which is generic for Tylenol. Patented biologics can be manufactured and marketed only by the company holding the patent. Biosimilars are simply generic versions of biologics. These are rare because it is difficult for a company to establish that a biosimilar drug is equivalent to the original biologic in terms of its effectiveness and composition. The first accepted biosimilar drug in the United States was approved by the FDA in March 2015. Biologic drugs are typically marketed as prescription drugs and are most often specialty drugs that are designed to have very specific uses. For lack of a better designation, this article uses the term pharmaceutical classification systemsto refer to a number of drug classification methods that classify drugs according to their chemical composition, mechanism of action, or therapeutic intent. When one reads a drug guide or textbook on drugs, these materials will often use these types of grouping criteria to classify drugs into specific categories. When drugs are classified by their mechanism of action or therapeutic effects, certain drugs may be classified in more than one group. This results in a large number of potential classes of drugs. For instance, antidepressant drugs are drugs that are primarily used for the treatment of clinical depression, although they have other uses as well. Antidepressant drugs are also classified according to their mechanism of action. Selective serotonin reuptake inhibitors, such as Prozac or Paxil, are primarily antidepressant drugs that act on the neurotransmitter serotonin, whereas tricyclic antidepressants, such as Elavil, act on three different neurotransmitters (dopamine, serotonin, and norepinephrine). In addition, certain selective serotonin reuptake inhibitors are used in the treatment of anxiety disorders and even personality disorders, and may be classified as drugs designed to treat those conditions as well. Central nervous system depressants: Central nervous system depressants are drugs that depress or slow down the functioning of the body’s systems. The central nervous system (CNS) consists of the brain and spinal cord, and it functions as the communication network for the body. These drugs do not necessarily cause one to become depressed (although taken in sufficient doses, they might have that effect on some people); however, they depress or dampen the communication channels between neurons and nerves. This results in reduced heart rate, reduction in breathing, lower blood pressure, etc.Drugs in this category include alcohol, benzodiazepines (anti-anxiety drugs) barbiturates (minor tranquilizers), many antidepressant medications (although some classification systems give antidepressant medications their own category), many drugs used in the treatment of psychosis (although some classifications placed drugs used to treat psychosis in their own category, calling them antipsychotic drugs), and others. Familiar drugs in this classification Xanax, Valium, Seconal, Zoloft, Prozac, Paxil, Thorazine, etc. Stimulants: Stimulants accelerate breathing, increase a person’s heart rate, result in an increase in blood pressure, and speed the overall processes of the body, including the processes of the CNS. These drugs also can increase a person’s energy level, improve a person’s attention, lead to an ability to focus better, and may enhance memory when taken in small doses. In larger doses, they may result in extreme hyperactivity, cause hallucinations, and lead to delusional or even psychotic behavior.Drugs in this category include amphetamines, cocaine (crack), caffeine, methamphetamine, and many diet aids. Familiar drugs are crystal meth, Ritalin, Adderall, Concerta, Provigil, Dexedrine, and so forth. Hallucinogenic drugs: Hallucinogens are drugs that are often used as sleep aids or hypnotic enhancers. These drugs affect the CNS, alter perception of reality, and may have a sedating effect; however, they can also have a stimulating effect. Many of these drugs were originally used as sleep aids or by psychiatrists as aids for therapy. Examples here include drugs like LSD, ecstasy (MDMA), psilocybin, mescaline, Ambien, and so forth. Dissociative anesthetic drugs: These drugs are used to inhibit the perception of pain. They also distort perception, especially vision and hearing, and produce a feeling of being detached (dissociated) from the environment, hence their classification. Ketamine (special K), PCP, and similar drugs are examples. Narcotic analgesic medications: Narcotic analgesics are medications that are primarily used in the treatment of pain and derived from opium or from the poppy plant (or synthetic chemicals similar to opium). These drugs produce marked euphoria and mood changes in people who use them. They include opium, heroin, morphine, Vicodin, OxyContin, codeine, Darvon, Demerol, and many others. Inhalant drugs: This category includes a wide range of breathable substances that are typically not sold as medications or drugs but marketed for other purposes. This category also includes anesthetics that are administered in the form of breathable gases. Examples include rubber cement, gasoline, paint thinner, hairspray, paint, etc. Cannabis products: This includes all products that contain the active ingredient delta-9 tetrahydrocannabinol (THC). This category includes marijuana, hashish, and synthetic drugs such as dronabinol. Many pharmaceutical texts add to the above classes by including specific categories for antidepressant medications, antipsychotic medications, antihistamines, and so forth. 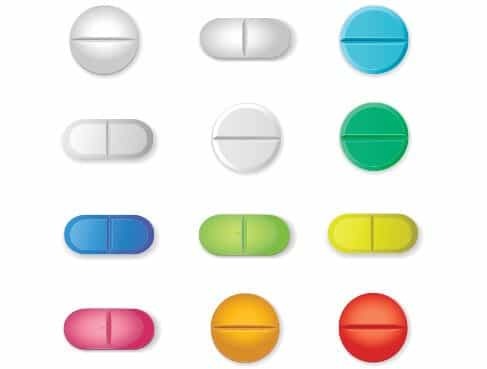 There can be quite a large number of different categories of drugs in a specific classification scheme when the drug’s particular mechanism of action is considered as the method of classification. This is the case in many textbooks and on various drug information websites. The drugs in this schedule are illegal to own, manufacture, or distribute except under conditions specified by the DEA (this also includes synthetic versions of these substances). Cannabis products, such as marijuana, remain classified as Schedule I substances by the DEA and the federal government, though certain states have allowed their use for medical purposes, and some localities have even allowed for individuals to possess small amounts of marijuana for personal use. The situation has resulted in some interesting speculation; in some states, a person may legally possess marijuana according to local laws, but be in violation of federal statutes. Overall, the classification system is relatively solid; however, even though the system appears to be strictly regimented, there remain a number of inconstancies in the DEA’s choices of where certain drugs should be placed. There are several special qualifications for certain drugs that appear to allow them to be placed in different schedules. For example, Marinol, used to treat nausea associated with chemotherapy, actually contains the active ingredient found in cannabis. It is, however, classified as a Schedule III drug instead of a Schedule I drug because it has scientific evidence for its medicinal uses, whereas cannabis itself remains on Schedule I. Of course, this inconsistency simply fuels the already heated debate regarding the legalization of marijuana, and conspiracy theories regarding its medicinal properties and the pharmaceutical industry being behind a plot to keep it illegal. Several other inconsistencies can be found with other drugs, such as the observation that there is no scientific evidence that LSD (Schedule I) is addictive. In addition, there is some evidence from the field of psychiatry for potential therapeutic properties for the drug in that context. For complete listings of all medications and Schedules, refer to the United States DEA website. Do These Drugs Always Remain in the Same Classification Schedule? Hydrocodone, which is the active ingredient in narcotic pain medications, such as Vicodin and OxyContin, was formally transferred from Schedule III to Schedule II in 2014 due to the large number of individuals who abuse the drug and new research evidence indicating that it had a higher potential for the development of abuse and addiction than previously believed. The painkiller Tramadol was not put on the controlled substances Schedules until 2014 when the DEA decided that it belonged on Schedule IVbased on new evidence that it had a potential for abuse. Recently, the DEA removed the drug Naloxegol, an opioid drug that is used to relieve constipation that is associated with use of narcotic drugs, from the classification scheme entirely. Over 160 substances have been added, moved, or removed from the classification scheme since its inception. There is no singular medication or drug classification system used in the United States, and one can find inconsistencies in the major classification systems that are used. The most controversial legal classification of a drug today concerns the scheduling of marijuana by the United States Drug Enforcement Administration as a highly addictive drug with no medical uses (Schedule I). Drugs are typically classified by their chemical structure, mechanism of action, therapeutic effects, and/or potential for abuse.